The TekBox TBMDA2/TBMDA3 Modulated Wideband Power Amplifiers are designed to create an inexpensive signal source for pre-compliance immunity testing of electronic PCBs and products. 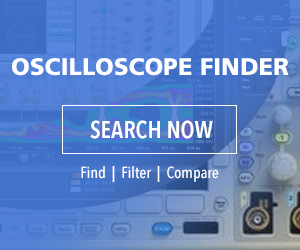 Driven by the tracking generator output of a spectrum analyzer, they provide the increased RF power outputs required by many test environments. With an input power range of up to -8 dBm /0 dBm, these amplifiers can boost the output power of a tracking generator up to 500 mW/5 W or 40 dB from 10MHz to beyond 1 GHz. In addition to other applications, the TBMDAx amplifiers are candidates for driving TekBox near-field probes to detect problem areas of an electronic circuit or to create electric fields up to 550 V/m when driving TekBox TEMcells. Test signals for immunity testing can be CW or AM/PM modulated. These amplifiers include built-in modulation capabilities to generate 1 kHz AM or PM signals. In PM mode, the TBMDAx amplifiers can also generate a 217 Hz signal with 12.5% duty cycle in order to simulate mobile phone TDMA noise. The TBMDA2 is powered by external 5 V and consuming around 3.5 W, and the TBMDA3 is powered by external 100-240 V and consumes 20 W.
Created by EMI experts TekBox, the TBMDAx amplifiers are available now from their authorized North American distributor Saelig Company, Inc. 71 Perinton Pkwy, Fairport, NY 14450, 888-7SAELIG, email: info@saelig.com, http://www.saelig.com/MFR00154/emcview.htm.